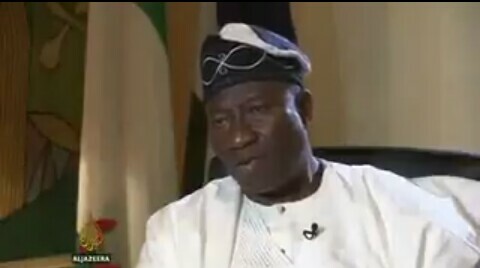 This is a throwback video of how Ex-President Goidluck Jonathan replied an Aljazeera interviewer , who asked him what he'll do if he looses the 2015 General election. The people are worried about violence springing during election are you worried about the violence? Yes I'm worried and I'm not happy about it. If you don't win this election, will you bow out gracefully? I will win the election because I done wonderfully. But in a situation whereby I default and someone wins the election, I will go back to my village and rest. The country is not my father's estate and I only want to serve. This is coming after President Buhari refused giving a concrete response when asked what he'll do if he looses the coming Election. Speaking during a live programme tagged ‘The Cadidates’ debate for the 2019 general elections in Abuja, President Buhari said it sounded impossible for him the lose the election considering the wide reception has continues to receive across the country during campaigns. Asked specifically whether he will quit office if he is defeated in the forth the election, President Buhari said, “it won’t be the first time I will lose election,”. I tried 2003 and I was in Court for 13 months, 2007. I was in court for 18 months in 2011 and went up to the Supreme Court. I sat down and said God Dey.